1. Understand The Final Goal (And Help Make It Happen) - A P.I.’s job is to support the crazy circus the best way they know how: By keeping up, and understanding the goal. 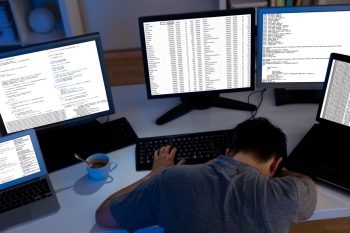 Being able to pick up the phone and put the pieces together for a surveillance the last minute, get someone down to the courthouse when everyone is getting ready to go home, compiling a last-minute asset search before a three-day weekend or just simply typing fast so that they can get an answer, is absolutely necessary. Also, a good PI should intuitively understand what the Attorney needs to win their case, whether it be for a family law, personal injury, civil or criminal matter. Knowing what the outcome needs to be is critical, so that the evidence gathered by the investigator is on-point and specific to the type of case. 2. Hustle Just As Hard and Deliver On Time - Deadlines should not be missed by your P.I., ever. There are very few things short of my house burning down or being kidnapped by aliens that will prevent me from getting evidence or information on time to my Attorney clients. The “where are my statements/searches/evidence” email is one that I never want to get from a client, so I try to stay ahead of the game and finish early every time. “My dog ate it.” doesn't work for the Judge. Hustle. Stay up late, get the job done, deliver on time. Period. 3. Be Polished and Remember Who They Represent - Occasionally a P.I. will have to interact with the Attorney’s client, who at the end of the day, is paying the bills. That is not the time for “I’m a gruff former cop and I don’t care who you are” attitude to come across, whether it be via email, text, or a phone call. PI’s should always know that their job is to not only get the evidence and information correct, but be courteous, prompt and tactful when dealing with clients. They are after all, representing the Attorney. 4. Don’t Be Lazy and Just Do The Damn Work - Attorneys know how to dig. Their cases and their income hinge on getting the details right, and they know that in order to get to those details, they have to dig. They must dig. P.I.’s should have the same attitude. Hitting “Search” on the computer and copy-pasting the results to the attorney isn't even remotely OK, and Attorneys who see this type of thing should call P.I.’s on it immediately. Sifting through the evidence, making phone calls, asking the right questions, and getting to the right people...and taking the time to dig, is necessary and required of a good PI. They should enjoy it, not avoid it. 5. Understand Evidence - Evidence is only as good as how it is presented, and a good PI should know that, and do their absolute best to obtain and prepare evidence whether it be written, recorded audio, photographs or video, so that if absolutely necessary...the Attorney could immediately walk into court with it and understand what they have in their hands. Usually, attorneys have time to prepare the evidence exactly they way they want it, but that doesn't mean it shouldn't be delivered to them by the P.I. without care, attention, and some polish. 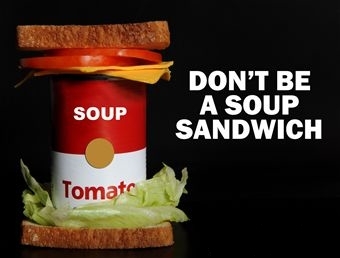 It should never end up as a "Soup Sandwich". Often it only takes a few minutes for things to be well labeled, cropped, curated and presented, and a good investigator should be going the extra mile in those areas. Too much to ask? I don't think so. If it seems that way with your current P.I., give us a call or send us an email and we'll show you how we keep up.